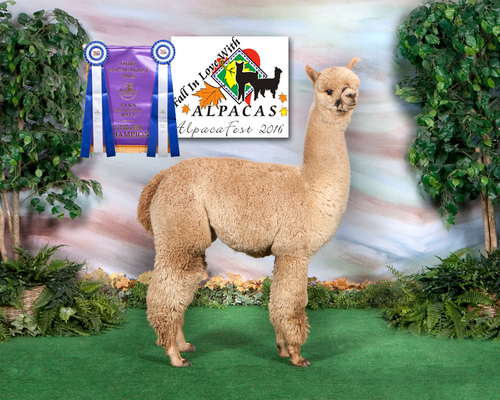 Soft, soft, soft, soft! 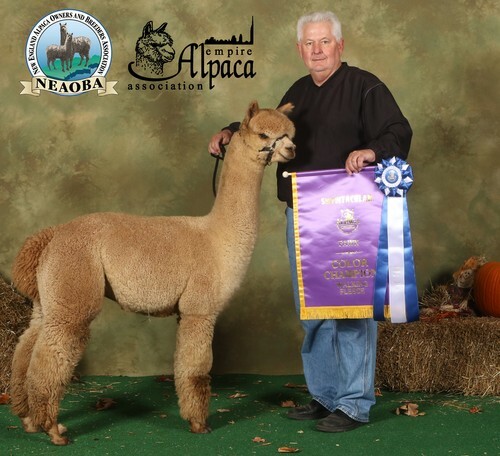 We could have expected nothing less from our soft Mint D'Or daughter, Sweet Thing (Sweetie), and Judges' Choice winner, Lancaster's Highland Chieftain, who is holding a very fine micron as he ages. 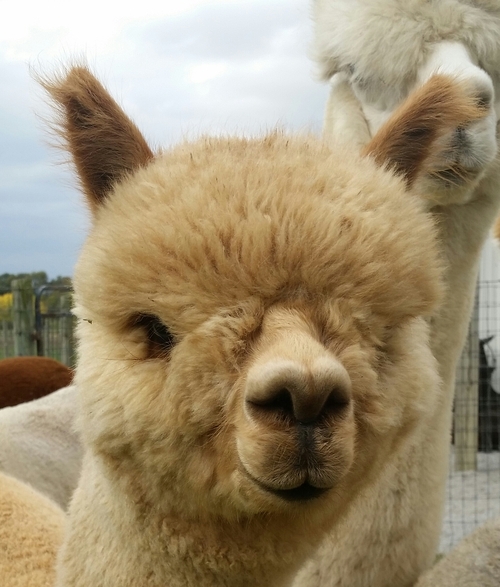 Delaware is also the "pretty boy" of the 2011 cria crop, with a beautiful head and eyes, along with very nice conformation and calm temperament. 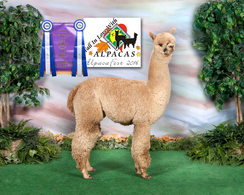 His fleece is extremely fine with a high amplitude crimp reminiscent of Chieftain's and incredible handle. 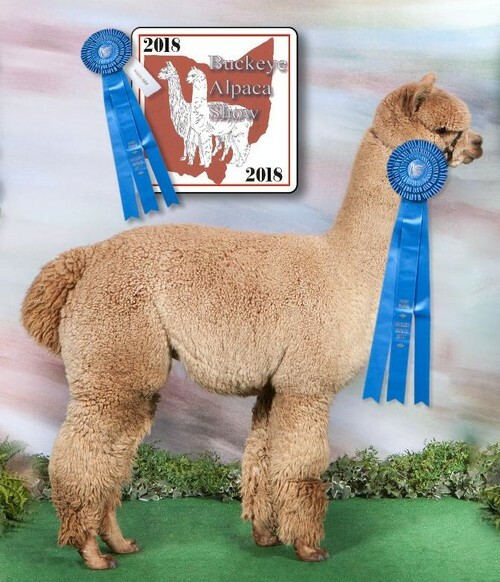 April is a proven producer of quality cria including her ANF's Dover, Color Champion. 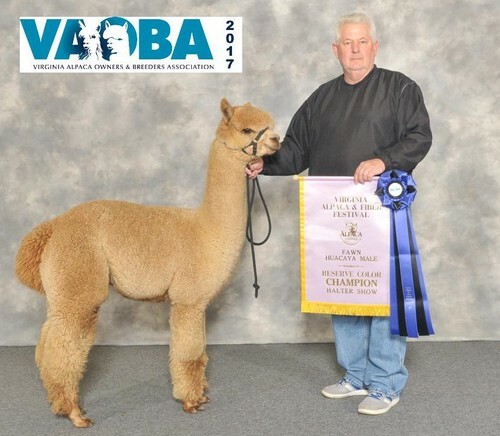 Her 2017 cria is a stunning medium fawn out of Legend's Legacy of Blessed Criations.